AGF has made some interesting cases for mobile devices, such as the Precision HSD Case for iPhone 3G and 3G S. This Magnate case for the iPhone 4/4S is another great triumph for the company. The Magnate is an affordable way an iPhone 4 user can whip out their iDevice and say, without words, “I have class”. Yes, the thing has leather, but it is leather inlayed, highlighted with “contrasting stitching”. Granted, it is not genuine leather like the seats of a fine car, but I’ve seen vinyl that looks good enough. 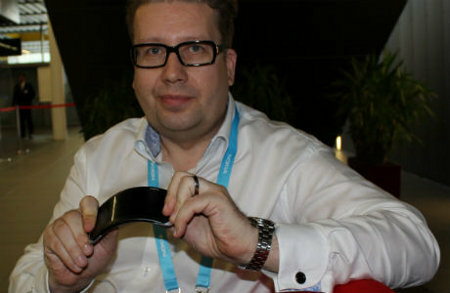 It actually uses a durable yet flexible rubber like materials also known as TPU (Thermoplastic Polyutherane). 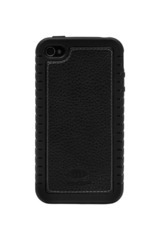 The sides are ribbed, so you will have a good grip on your iPhone 4. With the advent of the iPhone 4S Siri, there are probably going to be more people talking to their phone than ever before. You might as well get yourself a good Bluetooth headset like the Sound ID SIX. The SIX seems to take a cue from the Jawbone with its clear carbon design. The one button to activate the Voice Menu is located on the top, and it allows the user access to VoiceDial, BING 411, Google Voice, and other services. It also has three microphones which is helpful to block out background noise. Like other Bluetooth headsets, it comes with an application. The user can access EarPrint 3.0 via iPhone, BlackBerry, or Android, and it allows you to access the features listed above. it also supports a variety of third-party applications like Bing411, Google Voice, and other Facebook-friendly applications like Voice-on-the-Go, Vlingo, and Jott. 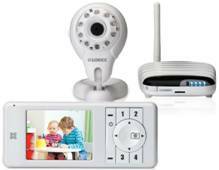 I have reported on Lorex’s products before, like that Baby Monitor a while back. I was impressed with the ease of their technology, and it is imitated and taken a step further with the Lorex Home Video Monitoring System (LW2020/LW2030 Series). This Live Connect allows the user to connect a wireless Gateway device to their home network and plug in the camera it comes with. When the handheld monitor is turned on, the user has the camera’s image, instantly! That is good for when you need a baby monitor or secret surveillance camera, but what makes this really neat is that the camera can be connected to Skype. This means that the user can monitor their camera from any Skype-connected PC, Mac computer, and it also works on the iPhone 3GS/4, iPad, and iPad 2. I guess with all the technological improvements that are incorporated into vehicles, we drivers start to relax ourselves more and more, taking things for granted while we are behind the wheel. Perhaps there should not be so much technology thrown behind the steering wheel so that drivers will always be alert each time they are behind the wheel. Ford’s latest exploits would be a new kind of lane keeping technology that is smart enough to detect a drowsy driver behind the wheel, pointing towards the need for a coffee break at the same time. This new Lane Keeping System will roll out sometime early next year, where there will be a trio of unique features that were specially designed to assist drivers in maintaining control while they are behind the wheel. Among them would be a Driver Alert System which will notify drivers should it detects signs of drowsiness. If that happens, then a coffee cup light will appear on the dashboard instrument cluster – markedly suggesting for the driver to take a break. The Google TV platform that delivers a special kind of entertainment experience which can be found on Sony Internet TV, in addition to the Sony Internet TV Blu-ray Disc player. 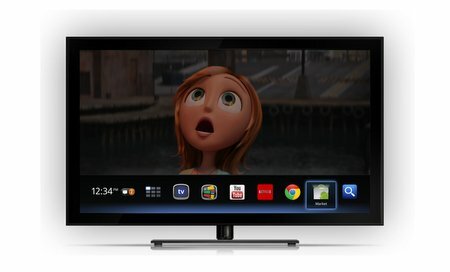 Just what does the latest version of Google TV deliver? For starters, it will not only deliver all that the current Google TV has, it will also throw into the mix the Android Market to satisfy your lust for more apps. At launch, you will be treated to hundreds of apps, where many of them have been specially designed and optimized for TV use. This particularly exciting update will roll out to all connected Sony Internet TV devices as early as next week, so do keep a keen eye out if you fall under the “receiver” category. T-Mobile has a spanking new smartphone for you to consider if you are on the lookout for one – and their latest effort would be the Samsung Exhibit II 4G. This could very well be considered as one of the more affordable 4G smartphones out there, which comes in good time too, cosnidering the kind of economic situation the world is in at the moment. The Samsung Exhibit II 4G will feature rich entertainment features, and even better is the fact that you can pick it up without having to sign up for any annual contract, or if you so desire, there is also a two-year contract option – and you can choose either. 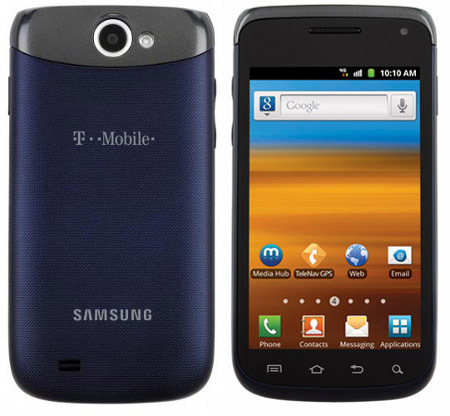 Another interesting fact is this – the Samsung Exhibit II 4G is also the first no annual contract 4G smartphone that will be sold at most Walmart stores. For the rest of the country who want one on either a 2-year contract or without, they will have to wait until November 2nd. Now they have the Wireless Boombox, which I also got a chance to try out. There are some portable speakers that produce some real kickin’ sound that can really rock a room. The actual specs are two 3 inch laser-tuned neodymium drivers for a rich mid range, two half-inch neodymium tweeters, and four two-inch passive radiators for some serious deep bass. Even though this product has “for the iPad” in its name, this is really false advertising. In reality, this product will pair and connect with any product that is Bluetooth compatible. If it doesn’t connect wirelessly, then you can use the included audio cable and connect it via 3.5 mm aux jack.